Before launching Cordova with her husband Cody, Jane Seim spent at least a year testing materials and poring over vintage photographs - that's why this 'The Vail' ski suit will stand up to wintry conditions, while still looking cool with a '70s tinge. 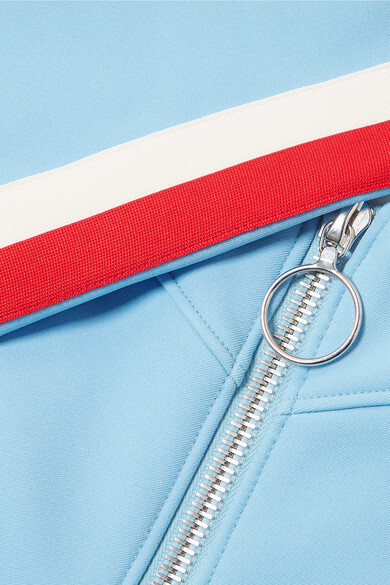 Made from the label's four-way stretch fabric that's water and wind-repellent, it's lined with insulating fleece and detailed with streamlining racer stripes running down to the stirrup straps. Zip yours up over a plain turtleneck. Shown here with: Moon Boot Boots, Cordova Jacket, Wolford Bodysuit.